Inner Element e-Line Courses offer the luxury of completing projects on your own schedule through workbooks, emails and project sheets. Each week includes handouts and motivational tips, along with one-on-one empowerment coaching and personal responses to your questions as part of the course curriculum. We also offer additional one-on-one coaching for a supplemental fee with an Inner Element coach, an opportunity to gain even more from your e-Line Course! Find yourself beneath the things crowded into your space. At one time, these items felt worth saving, but now they no longer serve you. Begin to put into place techniques to organize and create systems to help you clear out clutter. Our course will also offer you tools and techniques for attaining space to foster your gifts and grow. This e-Line course includes two individual coaching sessions along with follow-up emails and homework assignments. Personal Scheduled time for three weeks throughout the Summer of 2015. 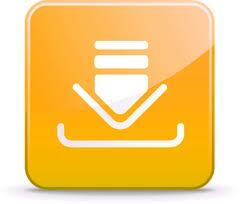 Download supporting documents for e-Line Courses.